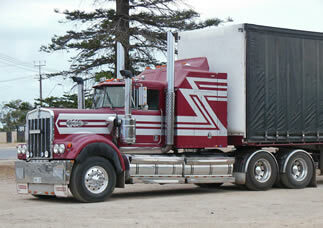 Starting a career as a truck driver can be exciting and rewarding. As a truck driver in Ohio, you may find yourself driving all over the state – sometimes even to other states. According to the Bureau of Labor Statistics, the annual salary for truck drivers in Ohio is around $39,660. As of the latest census, there are about 62,000 drivers in the state. It is also projected that there will be a 21% increase in job demand up to 2020. This is the perfect time for you to enter this industry as demand for new drivers continues to grow. The State of Ohio requires all commercial truck drivers to have a Commercial Driver’s License (CDL). You will have to meet several state and federal requirements to obtain one, such as being at least 18 years old, obtaining a DOT medical certificate, taking written exams and road tests. To prepare for the written exams you’ll need to read the Ohio CDL Manual, which can be acquired from your nearest DMV office. This manual contains important information that will come out of the exams, as well as the coverage of the general knowledge exam and the specialized endorsements. Applicants who are able to pass the written exam(s) receive a temporary learner’s permit. Applicants must schedule and take the road test while their permits are valid. The road test will be divided into pre-trip inspection, basic driving skills, and actual on-road driving. Applicants are required to pass all three parts to get their CDL. 2230 Shepler Church Avenue S.W. To submit a CDL school to this directory you can use this contact form. All entries must include complete business information, such as the name, phone number and address to be considered for inclusion.